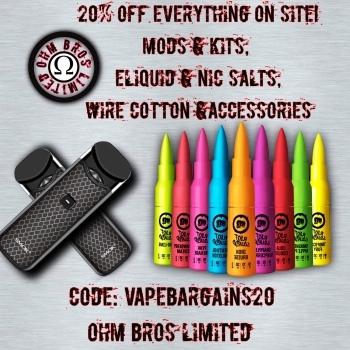 Fuggin Vapor are doing an E-juice sale half price on their $25 120ml range. So it’s $12.50 each (£9.50). They ship to the UK but shipping is around £15! So that makes it not such a great deal. However, if you buy a lot then the shipping would be worth it!